Free Shipping Included! Large Fabric Christmas Nativity Set, 9 Pieces, 15.5 Inch Tall by Betsey Cavallo by Betsey Cavallo at Two Clock. MPN: 3016483. Hurry! Limited time offer. Offer valid only while supplies last. Delightfully styled nativity set with fabric pieces. Large set - tallest piece is over 15 inches tall! 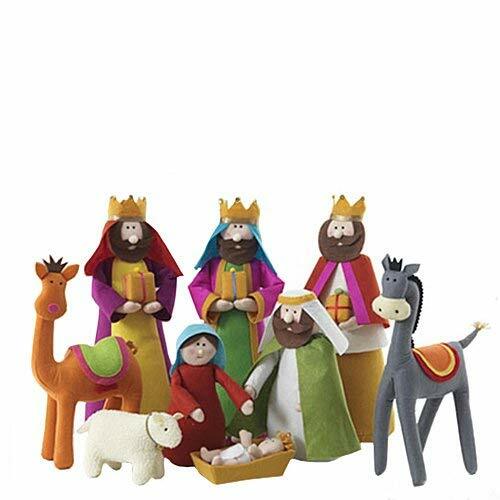 Delightfully styled nativity set with fabric pieces. Large set - tallest piece is over 15 inches tall! Unique. If you have any questions about this product by Betsey Cavallo, contact us by completing and submitting the form below. If you are looking for a specif part number, please include it with your message.